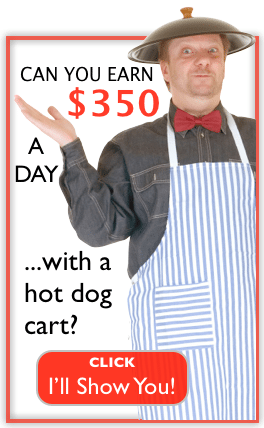 All 50 states allow you to run a hot dog cart business that you can, consequently run part time or full time. You can either operate year round or just during the season most suited to your liking. Although Vendors work year round in Canada and Alaska, most have a pop up style canopy with sides. 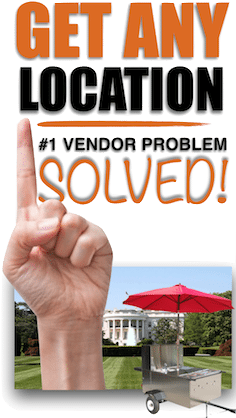 Vendors work parks, street side, busy intersections, fairs, festivals and some also work locations that most would never think of. Most of all, providing great customer service is key to repeat business and as a result ongoing success. Hot dog carts are versatile and because it has a steam table anyone can use their cart for catering and even drop off catering. The menu for this is consequently virtually unlimited. 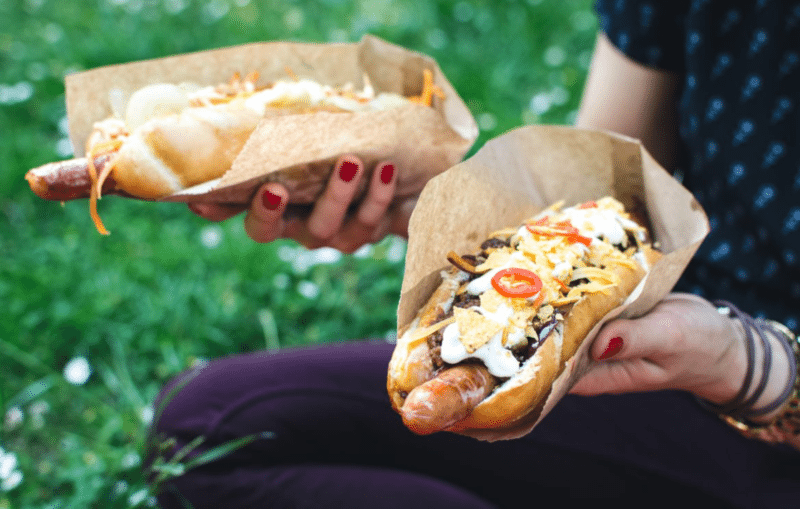 Hot dog carts have a much lower level of costs to get started, compared to food trucks and concession trailers. 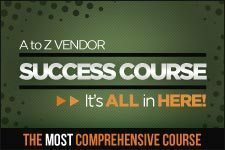 A vendor can start with two to three thousand easily although many have done it with much less. You can either build a hot dog cart or you can buy one new or used. 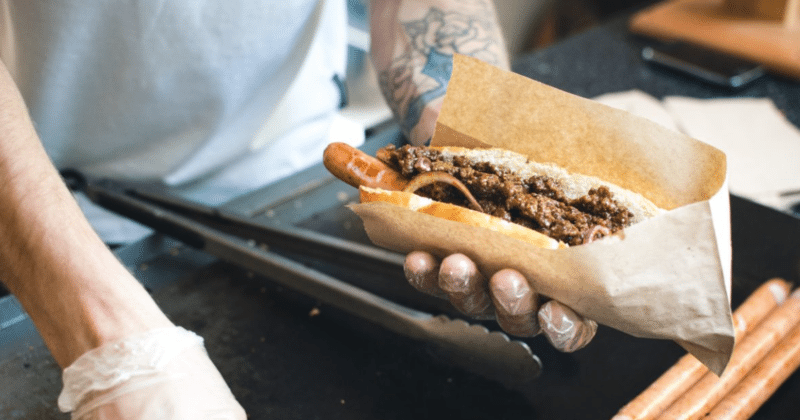 When thinking on how to start a hot dog cart business, the first thing on the to do list is to contact your local health department and ask for the person that does the restaurant inspections. That is the person that can help you get licensed and will also tell you the features you can and can't have on your cart. Some states require 4 sinks, others only one. You'll want to ask about grills, deep fryers and other items you plan on incorporating into your cart setup. 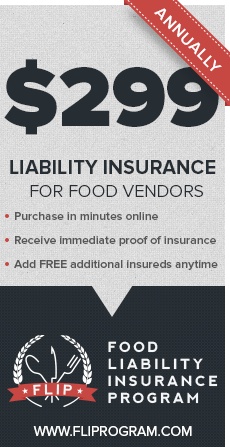 Furthermore, as a vendor, I need to know the foods that are allowed to be served as well. The inspector will check your cart later to make sure you've met those requirements. Contact your county clerk or city main number and ask to speak to someone about a business license. 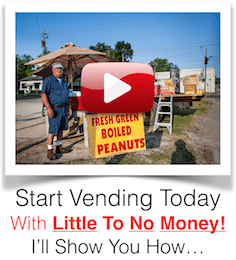 [tip] when asked what type of business, answer with “catering and vending”. Apply online, it's free, for an Employer Identification Number. [read: EIN] This is just a fancy word for a social security number for your business. 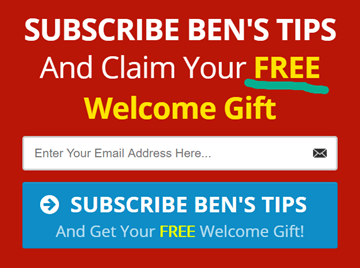 Don't be fooled by the companies that want to sell you this service because it's instant online here. You'll also need a sales tax number. This allows you to purchase goods that you'll be re-selling and not have to pay tax on them. 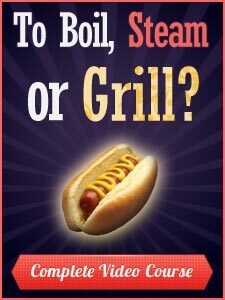 You can offer hot dogs and pre-cooked sausages in all 50 states legally. 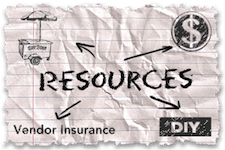 Find suppliers for these items from bulk distributors or your local grocery store. You can provide drinks, chips, snacks, candy, lemonade, cotton candy and much more. Either a commissary or commercial kitchen is required as your “home” base. Most states don't want you to prep foods at home or clean your wares at home. Do you need this? The health inspector will tell you. If it is. There are ways to get a free commissary. Lots of them. You can get “gigs” before you even start. The wonderful thing about a hot dog cart is that it's not just a hot dog cart. It's a mobile self contained commercial kitchen. This allows you to rent it out when you're not using it like hundreds of vendors do. Got a family reunion at the state park? Rent a hot dog cart and make whatever you want. Hot dog carts are incredible money makers. It's why I called the first cart we started selling, THE CASH COW. Look what my brother in law just ordered. It's a mobile kitchen that he's gonna rent out. One future vendor sent out a post similar and then tagged some real estate companies who did overnight rentals. Bam! Immediate requests. You mean, what if you don't like short hours and big pay? No problem. Carts don't depreciate like cars do. Don't believe me? Search online, EBAY, Craigslist and just take a look. 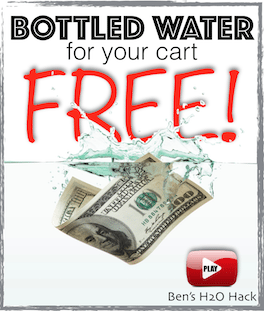 See how much carts are going for. Wanna know why? It's because of “immediate gratification”. People want it now, not next week. They'll pay more because it's here and now. So the likelihood of you loosing money on the resell, well that's slim to none. Those aren't empty words. You can check yourself. 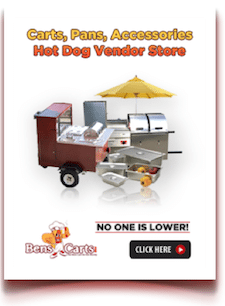 Search online for used hot dog carts and look at what you find. [TIP] Winter is the best time to find a used hot dog cart for sale. Hang it up in the Spring, Summer and Fall if you think you'll find a good deal easily. Needle in a haystack comes to mind. If you are determined to find used, be patient. The deals exist, but be patient. Something very hard for us entrepreneurs who want everything by noon yesterday.